We have an amazing team of support staff; including a counsellor and classroom assistants. Our classroom assistants all have a solid foundation of Montessori knowledge, enabling them to assist in the Montessori environment. Please see our full support staff list below. Alex Garneaux has worked at MMA since 2014. She works as a classroom assistant in Alpha and Gamma. Miss Alex finished her community support and education assistant program at Camosun college. When she is not working at the school she is hiking or painting. Miss Alex values inclusion in the community. Ali Paul has been at Maria Montessori Academy since 2012 and her role in our community is primarily as a Classroom Assistant. 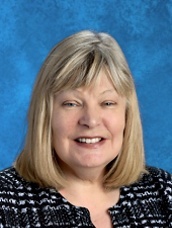 In the past five years however, she has worked with all ages and continues to spend time with our preschool and kindergarteners before and after school. She pursued her Early Childhood Education, after completing an undergrad in creative writing. When she’s not at Maria Montessori Academy; she’s tediously working on her novel, taking photographs, practicing yoga and enjoying nature! 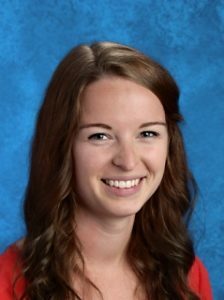 Allannah Montgomery-Spelt began at MMA in 2018 as a Classroom Assistant in Delta. She holds a Bachelor’s Degree in Music Education from UVic and is also a Registered Holistic Nutritionist. After completing her university education, Allannah worked in Cambridge, England for a year as a classroom assistant, which ultimately inspired her to pursue joining the community at MMA. In her spare time, Allannah enjoys cooking, studying nutrition, exercising, and playing her piano. Breony Ayers has been at MMA since 2012. Miss Breony completed her training in Social Services, and Mental Health in 2005. Miss Breony loves spending time with children and continues to learn from them everyday. 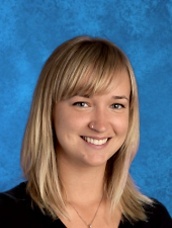 Miss Breony has worked as a classroom assistant in Sigma, Delta, and Omega. In her free time she enjoys dancing, singing, and exploring Victoria. 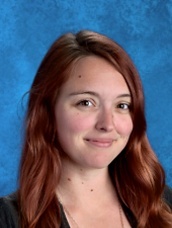 Devon Byrnell joined the MMA staff in 2017, after graduating from MMA’s inaugural Grade 12 class of 2015. In the time between she completed the Community Family and Child Studies program at Camosun College. Devon started with MMA as an out of school care assistant and has recently transitioned into becoming a Classroom assistant. While born and raised in England, she has called Victoria home since 2010. Outside of work she enjoys exploring the great outdoors as well as spending time with her family and friends. 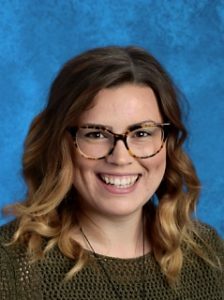 Elizabeth Post began at MMA in 2016 as a Classroom Assistant, following her graduation from Camosun College Education Assistant & Community Support Program. 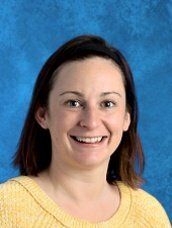 Elizabeth is currently a Classroom Assistant in the Sigma middle school classroom, and has also enjoyed two previous years of working in the upper and lower elementary classrooms. Since beginning at Maria Montessori Academy Elizabeth has completed her Montessori Classroom Assistant training. With her Elizabeth brings care, support and an open mind to the classroom. When Elizabeth isn’t at MMA she enjoys spending time with family, outdoor adventures, the joy of singing and a dash of Yoga for good measure. 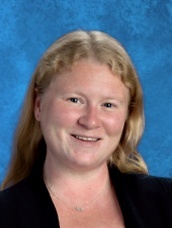 Heather Sanche has worked at Maria Montessori Academy since 2018. She has a Bachelors degree in Contemplative Early Childhood Education from Naropa University in Boulder, Colorado. She also holds a post graduate diploma in Intercultural Education and Training from the University of Victoria. 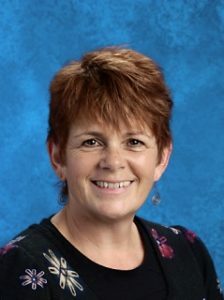 Heather has over 20 years teaching experience in a wide variety of cultures and settings from preschool to University. When she is not at MMA she can be found enjoying her time with her family. 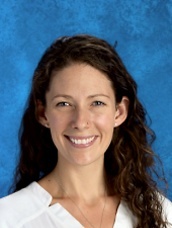 Julia Freeman began at MMA in February of 2018, splitting her time as a Classroom Assistant in both the Alpha and Gamma Lower Elementary Classrooms. She now works in Gamma as the Classroom Assistant and enjoys spending her afternoons in the After School Care program. 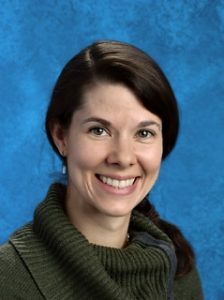 Julia has a BA in Psychology from the University of Victoria, her Early Childhood Education Assistant certificate, and a passion for Montessori Education. Her other passions include sewing, painting, crocheting, and all things crafty. Julie Hughes first joined MMA in September 2018 as a classroom Assistant in Bluebell. Originally from England she has called Canada her home for the past 24 years living in Ontario, Nanaimo and now Victoria. 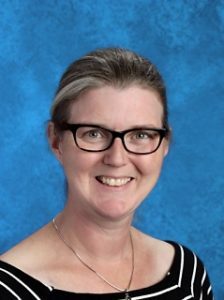 She pursued her Early Childhood Education over 20 years ago at Sheridan College Oakville, Ontario as well as AMI Montessori classroom Assistant Certificate 3 years ago in Vancouver. She went on to work at a Montessori school in Nanaimo as a classroom Assistant for 3 years before moving to Victoria. Julie loves spending quality time with her husband and daughter exploring beautiful Vancouver Island as well as some quiet time knitting, baking and reading. Kim Bardoel joined Sigma as a Classroom Assistant in March of 2018. Kim holds a BA Honours in Sociology from the University of Western Ontario and is also a certified TESL instructor. Kim spent over 10 years teaching English at high schools and universities in Hiroshima, Japan. Kim loves being in the classroom and has a genuine interest in supporting students as they strive to achieve their goals. Kim is an avid photographer and loves to travel in her spare time. Laura Ledesma fell in love with the Montessori Method of Education at the age of 15 but could not pursue those studies in her home country. Instead, she graduated from the National University of Colombia with a BA in Geology and then proceeded to follow her true passion; Montessori Education. Miss Laura took her Montessori Early Childhood Certification in 2012 and went to work as a Montessori teacher. 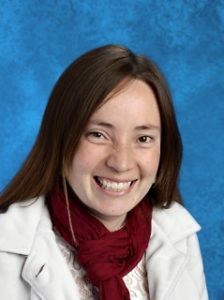 She moved to Victoria to join her husband and is currently taking her Lower Elementary Montessori Certification. She is very excited to be joining the MMA team as a teaching assistant in Upper Elementary. On her free time she likes watching movies, swimming, salsa dancing and family outings with her husband and 4 year old son. Louise Goodwin lived and worked on both sides of the Atlantic; ophthalmic/aural nursing in Britain, and later obtaining a B. Ed and a Dipl. Sped from U.B.C. She has worked as a teacher and therapist with children with deaf-blindness, sensory needs, Learning Disabilities and Autism Spectrum Disorder. More recently she obtained a post-graduate diploma in Mental Health and undertook the Maria Montessori Academy Classroom Assistant Course. Miss Louise tries to keep up her French and sign language and joined the MMA family in 2014; she enjoys working with and supporting children in this caring environment. Miss Louise enjoys her family of eight siblings, continuing to support/raise her three children and granddaughter. Maria Butler began working as the school counsellor at MMA in 2015. 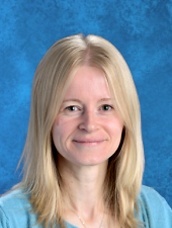 She meets with students from Pre-School through to Grade 12 for personal and/or academic counselling and loves getting to know each student who comes to see her. Miss Maria received a B.A. (hons.) and then a post-graduate teaching certificate (for high school) from the UK. After moving to Canada in 2000, she completed a B.Ed. (elementary and middle school) and then an M.A. in Counselling Psychology a few years later. Miss Maria taught in the UK and in Victoria before deciding to pursue counselling – something she has always felt drawn towards. When not at school, Miss Maria enjoys dance classes and fun family outings with her husband and two children. Mia Curtis joined MMA in 2018 as a classroom assistant with Sigma after finishing her Education Assistant certificate at Northern Lakes College. When she is not at school, Miss Mia is active with her two children supporting them in their many extra curricular activities, sewing, knitting or seeking adventure outdoors. Mitchell Chatham has been working as a Classroom Assistant in Kappa since 2018. 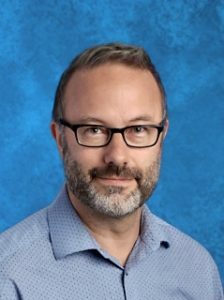 For the eight years prior he has worked exclusively with special needs adults and youth as a Life Skills Worker. 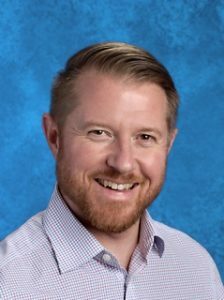 Mr. Mitchell has a Fine Arts Diploma from North Island College and has formally trained in Butoh dance, improvisational sound and movement, theatre, film, and national team level sports. He has worked as a headlining artist from Haida Gwaii to San Diego, where he mentored youth and adults while facilitating community art projects such as cultural murals, street theatre troops, filmmaking and performance art. He is a co-author and designer of a National Best Seller: Be the Change Cards and has worked as a professional intuitive with high profile clientele including Canadian team Olympic athletes. Mr Mitchell loves his family time camping, playing, laughing, and crying. 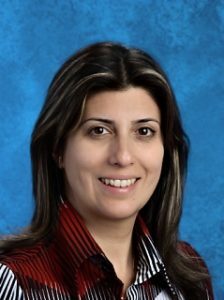 Mona Borghei joined MMA in 2018 as a Classroom Assistant after closing her daycare and after school care center. She has over 18 years of experience working with children in all ages. In addition to holding an Early Childhood Education Certificate, she has a Bachelor of Psychology as well as a Bachelor of Persian Literature. Mona loves spending time with her sweetheart husband and two lovely and beautiful kids. She loves nature, music and reading. Nicki Atherton has been a part of the Sigma community at MMA for the last two years. She has an eclectic background of experiences such as working as a Army Reserve, Lighthouse Keeper, and Trek Guide in the Himalayas. She has been teaching in BC for the past three years and looks forward to getting her Masters in Counseling. When Miss Nicki is not thoroughly enjoying her time as Sigma’s Special Education Coordinator, she can be found hiking mountains with her new husband, cooking tasty treats, and planning her next adventures to foreign Countries. 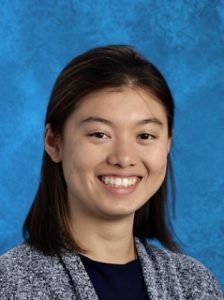 Nicole Oei joined MMA in 2018 as a Classroom Assistant/Practicum Student in Alpha. She graduated from the University of Victoria in 2016 with a BSc in Psychology. 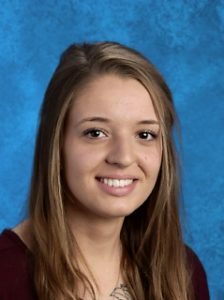 Inspired by her younger brother’s experiences with Montessori education at MMA, Nicole began pursuing an education degree alongside a Montessori diploma, both of which she is currently completing. When she isn’t studying at MMA or UVic, Nicole can be found reading, dancing, practicing aikido, or ingesting a questionable amount of soft-shelled tacos in an attempt to absorb the Spanish language. 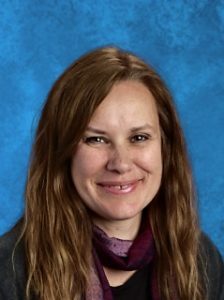 Suzy Tacon began at MMA in the fall of 2018 as the classroom assistant for Sunflower. In addition to her full Early Childhood Education certification she holds a Psychology Degree from Uvic. Originally from Nelson BC she has a love for nature and spending time in the great outdoors with her family and enjoys theater, dance and crafting. 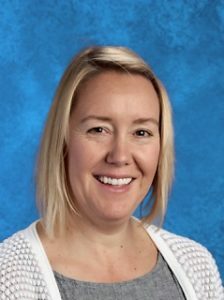 She enjoys connecting with the children and cultivating a respectful and trusting relationships with them.